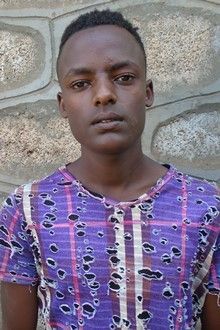 Yeabsira is living with his mother and siblings. His father is not alive, while his mother is a home wife. He has 2 sisters and a brother. Though his mother has been struggling to address the basic needs of the children, she couldn?t do that as a result of their poor economic back ground. Thus, we believe that being in our sponsorship program is a great opportunity for them so that they may move forward to self-sufficiency. Yeabsira was healthy, without any health issues. Yeabsira has been enrolled in to our sponsorship program by the selection and verification of the screening committee, because his mother is unable to take good care of the child due to the poor economic background of the family. Tell your friends Yeabsira needs a sponsor!